You may soon see fewer memes online, especially if you live in the European Union. On Tuesday, the European Parliament passed a directive to overhaul copyright law in the European Union and put more pressure on the likes of Google, Facebook, and Instagram to keep copyrighted material like photos and videos off their platforms. Now it’s up to each member country to write laws based on the directive. The laws will apply only in the EU, but it’s possible that companies will try to comply with the directive globally, just as some companies, including Microsoft, say they are applying the EU privacy regulations outside of Europe. The most controversial part of the copyright directive makes platforms like Google and Facebook responsible for copyright violations in material posted by their users. Previously, users, not the platforms, were liable. 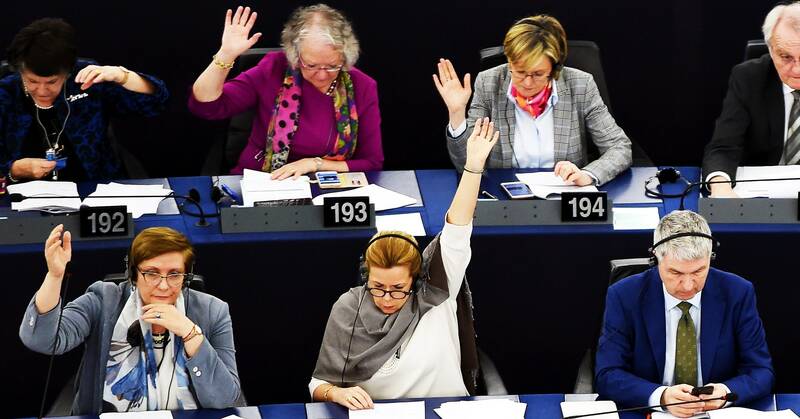 A copy of the directive published by European Parliament member Julia Reda, a member of the Pirate Party Germany who opposes the legislation, says companies will need to follow “industry best practices” for preventing the upload of copyrighted materials. The directive is meant to only cover content-sharing sites. Changes to an earlier version of the proposal last year exempt smaller companies, business-to-business cloud services, open source code-hosting platforms, and not-for-profit online encyclopedias. The directive will also require sites to pay publishers a licensing fee for displaying excerpts from news stories, with the exception of “individual words or very short extracts.” It doesn’t define how long a “very short extract” can be. This has been described as a “link tax,” though hyperlinking is explicitly excluded from the rule. The words used in a link, however, would presumably be covered. Critics say the new rules will effectively force companies to install “upload filters” that screen out copyrighted content. The directive doesn’t explicitly require companies to adopt automatic filtering technology, but critics argue that its language amounts to a de facto requirement for filters. YouTube already does this by allowing record companies and other copyright holders to upload content that the company checks to decide whether to block content or provide licensing fees to the copyright holder. The concern is that other companies will have to apply similar techniques to all sorts of content, including text and still images. Critics fear that legitimate content, including satire, which is exempted from the directive, would be blocked because the filters would be unable to distinguish between a copyrighted photo used for satire and one that is infringing. YouTube’s filtering system, which Google claimed last year to have spent $100 million developing, has a history of accidentally blocking noninfringing content. Copyright holders also have used dubious claims to have content taken off the site. The directive follows several other attempts by European governments to bring US technology giants to heel. In recent years, the EU has passed sweeping data privacy regulations, imposed steep antitrust fines on Google, and ordered Apple to pay $14.5 billion in back taxes. Those rules may have extracted money from the tech giants, but didn’t necessarily put money in the pockets of EU companies. Through its licensing requirements, the copyright directive tries to do just that. A Google spokesperson said in a statement that the version approved by Parliament Tuesday was “improved, but will still lead to legal uncertainty and will hurt Europe’s creative and digital economies.” The company added it would work with policymakers, publishers, creators, and rights holders as EU countries implement the rules. Last year, the directive’s sponsor, European Parliament member Axel Voss of the Christian Democratic Union of Germany, told WIRED that even if the legislation wasn’t perfect, it would make it harder for big tech companies to profit from ads alongside material that infringes on others’ copyrights.